Increase your business intelligence and increase customer experience by placing your office phone on any device, and creating artificially intelligence powered Cloud Call Centers to power your business and help your call center support individuals. Create smart call centers to increase customer experience. 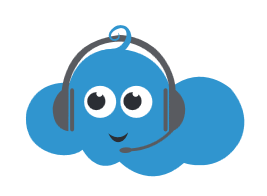 Cloud Call Center solutions include call back, caller information collection, self-service, and a cloud-based contact center service that makes it easy for any business to deliver better customer service at lower cost. Put your office phone on your personal phone and never miss a call. Set up extensions that lead to your cell phone, with your cell phone having two separate numbers. Make and receive calls that integrate with your Microsoft O365 and Microsoft Teams solutions, and put your office phone on any device. Integrate office intelligence and create a “Smart Office”. Whether through Cortona, Alexa, or Google Home – create an office that uses artificial intelligence to start meetings, set schedules, track progress of projects, and even answer customer questions through AWS Alexa Powered Chat Bots. Whether you’re working in your office or on the go, you get a familiar, top-of-the-line set of productivity tools. Office applications —always the latest versions—let you create, edit, and share from your PC/Mac or your iOS, Android™, or Windows device with anyone in real time. Amazon Connect Powered Cloud Call centers, for an enhanced customer experience. Amazon Connect is based on the same contact center technology used by Amazon customer service associates around the world to power millions of customer conversations. The self-service graphical interface in Amazon Connect makes it easy for non-technical users to design contact flows, manage agents, and track performance metrics. Intelligent office solutions, to turn your office into an interactive, automated, and Artificially intelligent work place. Our cloud office solutions transform your workplace into a smart business workplace. Why stop at integrating your solutions with just your applications? Using Artificial Intelligence, connect your O365 environment to your Amazon Alexa or Google Home in your office, conference rooms, and VoIP phone devices. Simply say ``Alexa, start the meeting.`` and watch as the projector starts, the lights dim, Alexa device dials into the conference and your clients are impressed.